Retaining a rural lifestyle and small-town values are important to residents living in the unincorporated communities of Knightsen and Byron. While the surrounding communities of Discovery Bay, Brentwood and Oakley have experienced unprecedented growth, Knightsen and Byron strive to hold on to their identities. Driving through either of these bucolic towns is like a journey back in time. Both communities experienced their heydays years earlier. At one time, Knightsen was one of the largest dairy sources in Northern California, with six large dairy farms. Byron was well-known for Byron Hot Springs. The luxurious resort was popular for its healing mineral waters until it closed in 1938. A lesser-known piece of Byron history was the fuel industry, which thrived in the early 1900s. There were several refineries, pumping stations and distribution yards, including those owned by Shell Oil and Standard Oil. Both towns evolved as railroad towns. Byron was built in 1878; Knightsen was established in 1898. Today, there is much less activity in these communities. News and gossip are usually spread during a hearty breakfast at the Byron Inn or in the early morning hours at the Knightsen post office. Another key source of information in Knightsen is a community bulletin board at Delta Road and Knightsen Avenue. Everything from town hall meetings to community outcries are announced on the modest wooden sign. When there is a hot topic brewing in either town, hundreds of residents will show up to support their neighbors and express their viewpoints. The downtowns also reflect the small-town characters of Byron and Knightsen. Today, Byron’s Main Street consists of businesses including an antique store and the Wild Idol Saloon that has been reopened in the oldest building in town, which dates to 1883. The saloon was destroyed by fire in 1997 after 114 years as the heart of Byron. Now, it is experiencing a rebirth. The downtown is also in the midst of a revival. Leighton said that the Friends of Byron and the Byron Library Club are forging some community improvements, including a restoration of the caboose on Main, plans for murals and the refurbishment of a community building also along Main Street. There is even talk of a restaurant coming to Main Street. Byron’s housing stock has become more diversified, with more and more upscale estate homes popping up amid the existing farm homes. Knightsen has stayed the same more than Byron in recent years. 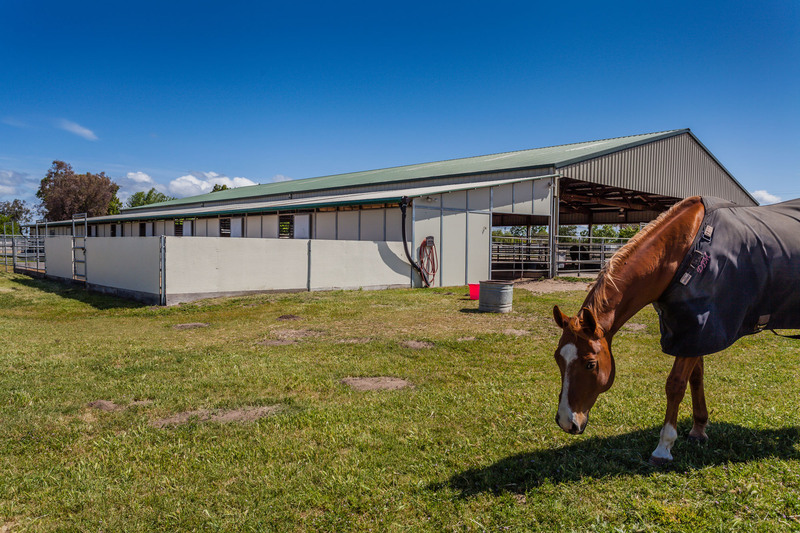 Slowly, Knightsen has been evolving into an equestrian community as people who own horses are drawn to the area. Knightsen still retains many signs of its agricultural roots. U-picks and fruit stands line the country roads, and eggs or honey can be purchased right on the porches of the local ranchettes. Through it all, Knightsen and Byron continue to support each other as the smallest communities in far East County.